West Ham say that they accepted an offer to resign from a member of the Official Supporters' Board due to the nature of material hosted on the individual's website. Nik Tucker, who was chosen by the selection committee put in place by directors Karren Brady and Tara Warren to represent away fans has left the controversial group "by mutual consent" after he was asked to liaise with Kick It Out. And according to West Ham, that was the result of content hosted on a platform supervised by Mr Tucker. "West Ham can confirm that following some of the content on his website being brought to the club's attention by Kick it Out, it was felt by both parties that it was no longer appropriate for Nik Tucker to hold a position on the Official Supporters’ Board," read a club statement given to Guardian writer Jacob Steinburg. "As such, Nik offered his resignation, which was accepted." To which Kick It Out added in a supplementary statement: "We welcome the fact that within a few hours of receiving the complaints West Ham took swift action and acknowledged that homophobia and antisemitism has no place in football." However Mr Tucker denies all such charges; writing to a fellow member of the Crossed Hammers Facebook group he said: "Content on my website was seen as homophobic and anti-semitic. The club had received a complaint from members of another group and Kick It Out were called. "I've been a boxing coach full time for 20-odd years and had champs of many creeds, colours and genders and I don't need to justify myself to Kick It Out so it was best to part ways." 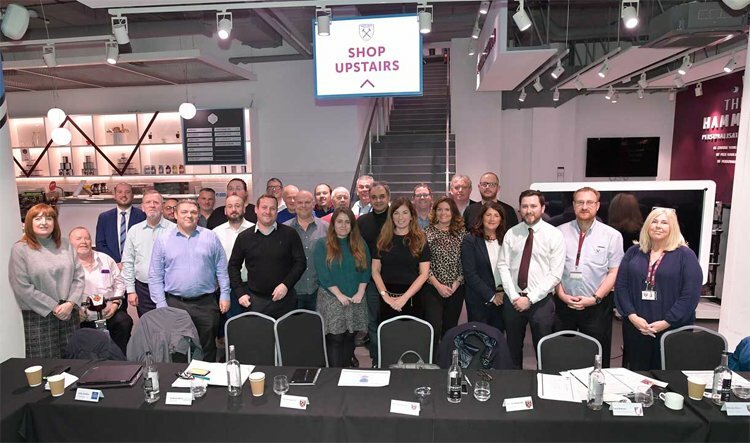 The OSB was founded in the wake of the highly-damaging protests against Burnley last March and according to vice chair Brady, speaking shortly after its introduction was announced, "these initiatives will further diversify the groups of fans who have a real voice at West Ham United." West Ham were recently fined £100,000 by the Football Association as a result of failing to control their supporters and forced to issue an apology.